Not surprisingly, however, a thorough review of previously submitted written comments to the DEC indicates that the hearing will further highlight that opposition to this project is committed and widespread; in fact, if a voter referendum were held today it would probably be defeated by a substantial majority. Before addressing the reasons for this, let’s first stipulate that beach erosion is occurring at a disturbing rate and will probably continue to do so for the foreseeable future. There is little dispute that the consequence is consistently narrowing beaches and greater vulnerability to high winds, flooding and storm surge. 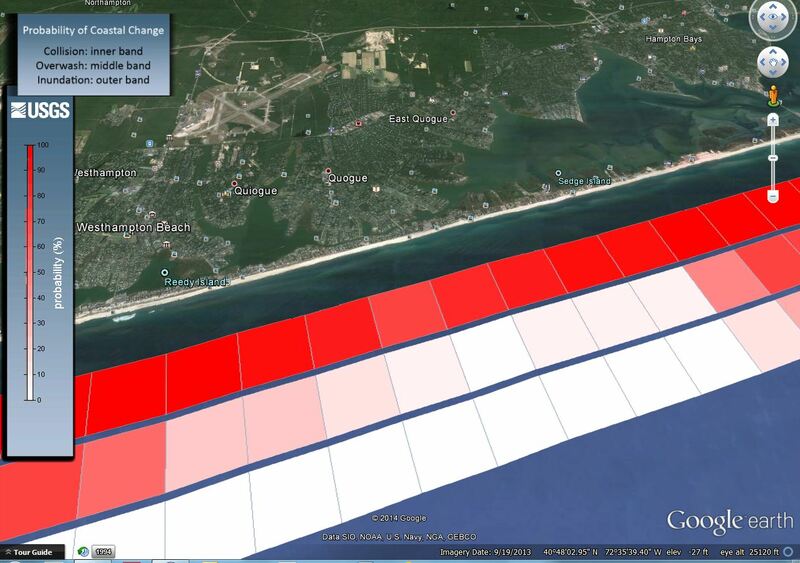 The sand starvation, however, is not evenly distributed and, except for the most eastern 25 percent, Quogue’s beaches remain relatively healthy and above Federal Emergency Management Agency standards for dune volume. This has been verified by Dr. Robert Young, a nationally respected coastal geologist. 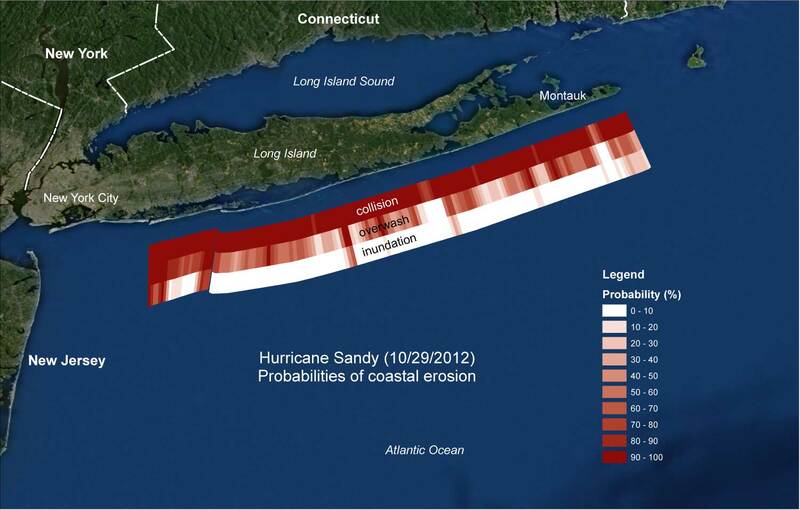 The U.S. Geological Survey probability study on Long Island coastal change concludes that there is an extremely low probability of inundation and only a limited likelihood of severe overwash. Protecting against a potential breach of the barrier island appears to be unnecessary. The conditions in Quogue are materially different and less severe than the Village of West Hampton Dunes, often cited by nourishment advocates as a model success. Beach nourishment is a stopgap measure designed to protect property and alter the natural dynamic movement of a barrier beach. Such projects almost always require consistent and periodic replenishment with an expected life of 10 years. Are we really prepared to keep doing this on a periodic basis? How are we going to feel if a major hurricane or nor’easter returns us to ground zero while we still have several years of taxes to pay on the failed project? A recently completed replenishment effort in Folly Beach, South Carolina washed away just months after completion. The new Fire Island Inlet created by Hurricane Sandy, according to Stony Brook University, has not impacted the mainland and, in fact, has improved the bay water. The Fire Island to Montauk Point Study by the U.S. Army Corps of Engineers, the most comprehensive and far-reaching study of area beach erosion to date, did not include Quogue as a candidate for beach nourishment. Since many studies suggest that the erosion is caused substantially by the Shinnecock Inlet trapping the littoral flow of sand from east to west, many observers believe that the shortage of sand west of that inlet will accelerate premature erosion of any nourishment program implemented in Quogue. Coastal erosion is a local, regional and national problem requiring a planned and coordinated solution. Global warming and sea rise projections only exacerbate the problem and the need for a regional long-term strategy. It is encouraging that Quogue Mayor Peter Sartorius has just announced the formation of the Quogue Beach Management Committee, a group of seven concerned citizens tasked with studying the issue in detail, evaluating the available alternatives and making recommendations to the mayor and village trustees. The group is diverse, representing multiple perspectives on the issues and should be able to generate an objective analysis to determine the best options. Hopefully, the committee will take a broad view, reaching out to local, regional and national resources to see if coordinated action will lead to a better and less expensive outcome. The committee is welcome news for another reason as well. Quogue’s elected officials need to be proactive managers of this complex endeavor and not delegate their responsibilities to consultants and contractors who stand to benefit if the project is funded. Regardless of its generosity and good intentions, it was inappropriate for the village to allow the Save the Dunes and Beaches Foundation— a small group of oceanfront homeowners most severely impacted by beach erosion —to fund the study and permit application process with the DEC. It’s hardly a coincidence that the group selected First Coastal Corporation, a likely bidder on the project if it is approved, to conduct the study and oversee the DEC application. This situation spawned the formation of an opposing group, the Concerned Citizens of Quogue, which ensures that the broader interests of all residents are represented. The vigorous debate is productive and should continue unabated, but the elected village leadership should be taking the leadership role on this important issue. Despite the drawbacks, it is possible, at some point, that beach nourishment could be an integral part of a beach remediation solution. For the time being, however, let’s keep an open mind, do further study and make sure we get it right. Click here to read the original article, authored by CCQ member Douglas H. Greeff. Previous PostImportant Public Hearing Set for 8/10 in QuogueNext PostDoes Hurricane Sandy Have a Silver Lining?